Just as we prepare for the upcoming time change, Odell Brewing is releasing their seasonal Mountain Standard Double Black IPA on November 5th. This is a big brew and will only be available in 4-packs. The following is a press release from Odell Brewing released today. Fort Collins, CO. – On November 5, 2011, Odell Brewing will celebrate the return of darker days with the arrival of Mountain Standard Double Black IPA. This year, the brew returns as a four pack offering. Named for the time zone in which the brewery resides, Mountain Standard Double Black IPA features hops grown on Colorado’s western slope. In late August, the brewery production team ventured west to hand select the hops used. Cascade and Chinook varietals present a robust hop aroma and essence that complements the rich and roasty malt backbone. Odell Brewing will host a “Mountain Standard Bash” on November 5th to kick off the brew and celebrate Colorado’s ski and snowboard season. The outdoor event begins at 6 p.m. and will feature samples of the brew, live music, food trucks, a variety of local ski and snowboard purveyors, and a screening of the Teton Gravity Research film, Under the Influence. The brewery will also raffle a custom Odell Brewing snowboard by Oz Snowboards with proceeds benefiting the CSU Snowriders. 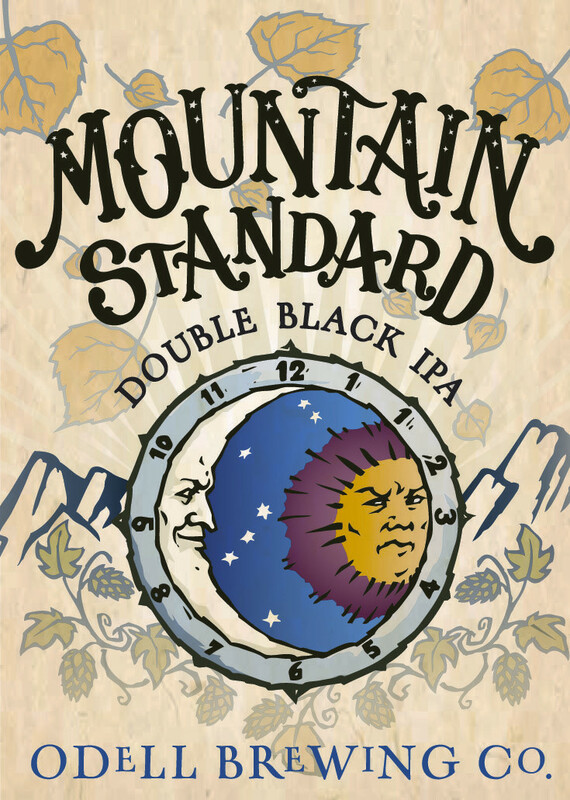 Mountain Standard Double Black IPA will be available November – early spring in the brewery’s ten state distributor region. Founded in 1989, Odell Brewing was started by Doug Odell, his wife Wynne, and his sister Corkie. Twenty-one years later, the culture of family and collaboration still thrives fostering a brewery full of beer-centric people. It is this passion for beer that inspires Odell Brewing to create quality, hand-crafted, innovative brews. In 2010 the brewery completed its fourth expansion, adding a wood-aging cellar, a 750 ml bottling line, and a 76 kilowatt photovoltaic system capable of providing 25% of the brewery’s peak energy demand. As a regional craft brewery, Odell Brewing is committed to serving the communities in which it distributes by sourcing local raw materials, and through its charitable giving program known as Odell Outreach. Odell Brewing was recently named a “Top Company of 2010” by ColoradoBiz Magazine and is an award winning brewery, nationally and internationally: 2011 Great American Beer Festival® - gold medal for Friek. 2010 North American Beer Awards – gold medal for Woodcut No. 3. 2009 BrewNZ Awards – gold for 5 Barrel Pale Ale. 2008 World Beer Cup® – gold for IPA. 2007 Great American Beer Festival® – gold medal for IPA. - Odell Brewing Frieks out once again.